While the per capita availability of agricultural land has been decreasing rapidly everywhere in India, this article points out the socio-economic implications of current land use and management strategies in Uttar Pradesh. It argues that a judicious land use policy in synergy with the physical, economic and institutional factors should be framed, even as investment is encouraged in non-agricultural sector for employment. The Ministry of Water Resources is at present engaged in revising the National Water Policy 2002. Instead of trying to make changes in the 2002 Policy, the ministry should put it aside and draft a new policy, starting from first principles. In that context, the draft presented here is an attempt to formulate the kind of document that could be drawn up. 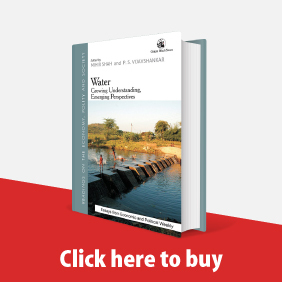 It seeks to set forth for consideration a broad national perspective on the nature of water and on its prudent, wise, sustainable, equitable and harmonious use. Agricultural education and R&D in India have grown overwhelmingly over the years but funding levels have not kept pace with growth in the number of programmes, institutions, colleges and universities. Restricted funding and vacant faculty positions are not allowing institutions to modernise the programmes and infrastructure to catch up with the changing needs of agriculture and agro-processing. This article proposes a comprehensive programme to revitalise higher agricultural education. During the 1960s and 1970s there was an intense debate on the observed inverse relationship between farm size and per hectare agricultural productivity in India. It was subsequently argued that the higher productivity of smallholdings would disappear with the adoption of superior technology, modernisation and growth in general. However, close to half a century later, National Sample Survey data from the initial years of the 21st century show that smallholdings in Indian agriculture still exhibit a higher productivity than large holdings. These smallholdings however show lower per capita productivity and the incidence of poverty is widespread. 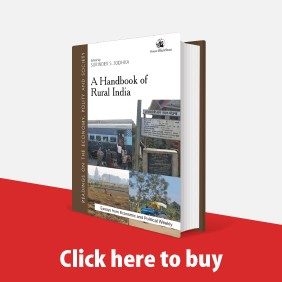 Strategies for Indian agriculture and smallholding households should include reducing the inequality in land distribution and promoting off-farm work in the rural areas itself. The strategy of improving the crop land-man ratio by facilitating migration from rural India has not worked and will not work. The lives of smallholding families can be improved only by building on their higher per acre agricultural productivity and by promoting off-farm rural employment. There is a debate in India about the possible extension of minimum wages to all wage-earners. 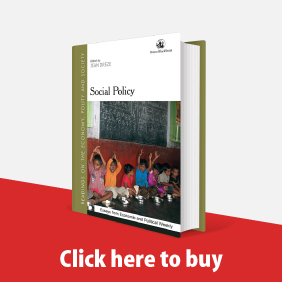 This study provides some benchmark figures on the effects of either making the national minimum wage floor compulsory or extending the coverage of state-level minimum wages. 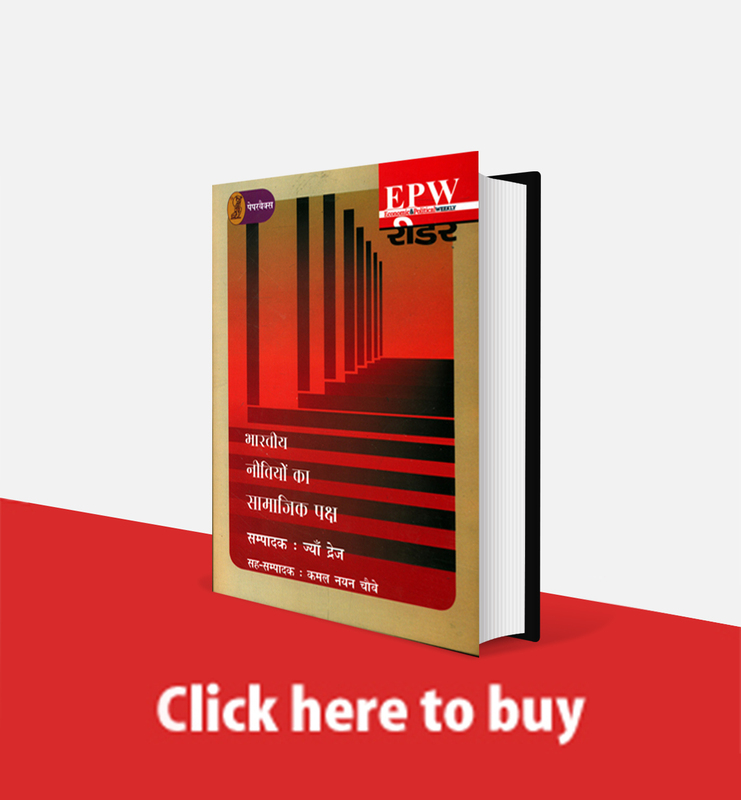 Using the 2004-05 Employment- Unemployment Survey along with the Consumer Expenditure Survey, it estimates that the extension of minimum wages at existing levels could improve the earnings of 73 to 76 million low-paid salaried and casual workers. It also shows that if an extended minimum wage is perfectly enforced, it would substantially reduce inequality, poverty and the gender pay gap, even if there are some disemployment effects. 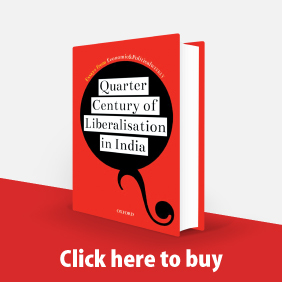 This article analyses the impact of the 2008-09 global economic meltdown on workers in the unorganised sector of the gem polishing and construction industries in Rajasthan. Based on a primary survey, it was found that in the initial phase of the crisis, workers trimmed their spending on their social life. This was followed by a reduction in expenditure on health and education. As the crisis persisted, they were left with little alternative but to cut down expenditure even on essentials like food, shelter, clothing, etc. Further, distress caused by unemployment and a drastic reduction of incomes exacerbated domestic conflict, violence and depression, the brunt of which was experienced by women and children. The study finds that the impact of the crisis varied between gem polishing and construction industries and it was more severe for workers in the lowest income group in both industries.